Of all the places you’d like to visit while on vacation in Hawaii, there’s one place better left off your must-see list: the hospital. However, for thousands of tourists every year, an unexpected hospital stay turns up on their travel agendas. In fact, according to the Hawaii Dept. of Health, 68 non-residents die every year in Hawaii. About 550 visitors land in the hospital, and about 7,730 visitors land in the hospital emergency room. For your own safety, swim only at protected beaches and only during calm conditions; always swim with a friend. Know your own and your partner’s swimming abilities. Children should always be watched closely. Poor swimmers and weak individuals should use inflatables such as air mattresses and tubes only with a great deal of caution. Bodysurfing is one of the most dangerous ocean sports. To avoid injury, seek competent instruction and familiarize yourself with the surf conditions. Always snorkel with a friend and stay in close visual contact with your partner. Familiarize yourself with the snorkeling area and the water conditions. Use caution when entering and leaving the water. 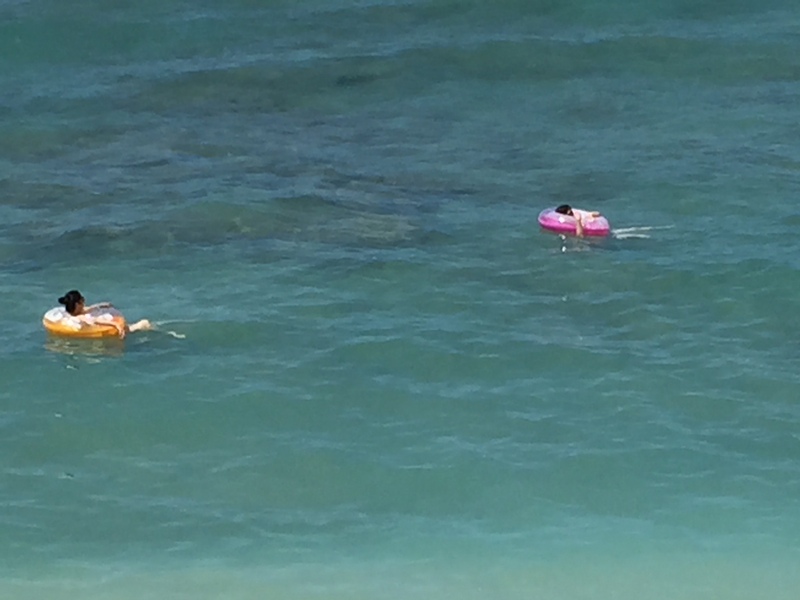 Watch for boats and floating devices, as well as other snorkelers and swimmers. Once water rises above the knees, water conditions can become dangerous if waves or currents are present. Waders to offshore islands should know the surf and tidal conditions before embarking on their trip. Return before the tide rises or have an alternate route. Avoid contact with unfamiliar marine animals. Be cautious of animals with spines, pincers, sharp teeth, and poisonous stings. Although the ocean looks calm, always check if there are ocean warnings posted. Guard against sunburn and long-term effects of skin cancer by using a PABA sunscreen or wearing a hat and loose-fitting clothing. During oppressively hot and muggy days, avoid unnecessary exposure to heat and drink plenty of water. Avoid entering streams and ponds when you have open cuts or abrasions on your skin. Do not drink the water without first boiling or using purification tablets. Harmful bacteria, such as leptospirosis, may be present and poses a serious health threat. Plan your hike by knowing the terrain to be covered, the length of the trail, weather conditions, time of day, and hazards along the trail. Allow ample time to return before nightfall by figuring 1.5 miles per hour. Carry proper equipment, including a first aid kit and plenty of water. Wear proper shoes and clothing. Stay on the designated trail and be extra cautious when crossing streams and walking on wet, slippery trails or on loose, crumbly soil or rock. 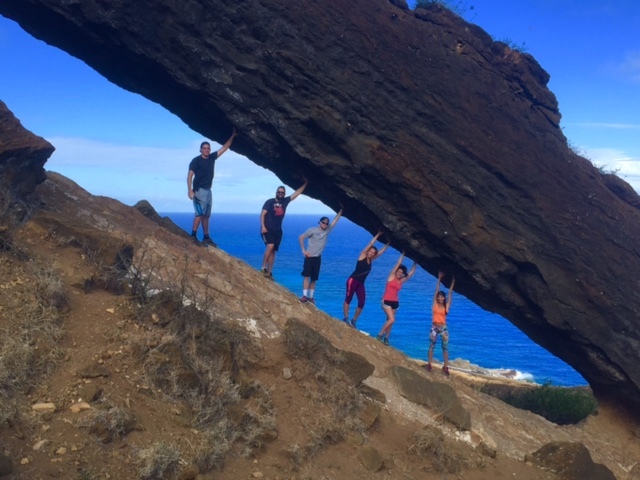 Hike in a group and keep track of those in your party. Hawai‘i’s mountains are porous, crumbly weathering basalt. They are not suitable for roping or climbing. Be aware of insects and arachnids that can inflict painful stings and bites, such as the black widow spider, scorpions, and centipedes. When hiking, you should always bring enough food and drink to get you through the day. By following these safety tips, you can minimize your chances of having an accident while on vacation and stay safe in Hawaii. After all, you’re here to focus on what’s most important: having fun!